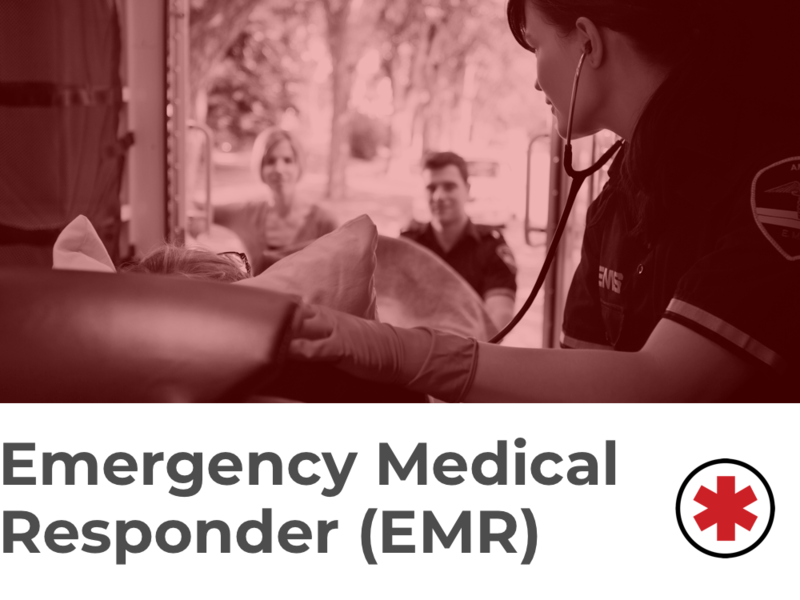 As the first to arrive, your role as an emergency medical responder (EMR) is crucial. You are trained to assess an emergency situation, call for further assistance and administer basic first-aid and/or cardiopulmonary resuscitation (CPR). Completion of an emergency medical responder program is required to act in an emergency. In this role, you help to stabilize the patient while you wait for an emergency medical technician (EMT) to arrive on the scene. First responders have restrictions and cannot transport patients or administer IVs. EMR training includes a CPR certification and a state-approved emergency medical responder course and certification exam. To act beyond the limits of a first responder, and administer further aid, you must obtain certification as an emergency medical technician. If this is for you, start your career as an emergency medical responder today. EMS Career Now will help you get started. Fill out our application and request information from one of our featured EMS schools, at no cost to you. Land your dream career and start building your educational foundation as an emergency medical responder today. To learn more about the industry and becoming an emergency medical responder, make sure to review our common career questions.